Since I acquired a smartphone (5 years ago) there’s been no such thing as down time. Five minutes waiting for a bus used to seem like an hour. Now it’s barely enough time to check an email. Last weekend’s Guardian magazine featured an article about what we gain by recapturing empty time, when nothing happens, and we just wait. Apparently, “Aimlessness, rest and even boredom can boost creativity.” I’ve also been catching up with Martin Heidegger on the three ways to be bored. First, you can be bored by something, e.g. waiting for a train in an isolated station and with nothing to do. In this case time draws attention to itself and is slow and conspicuous. 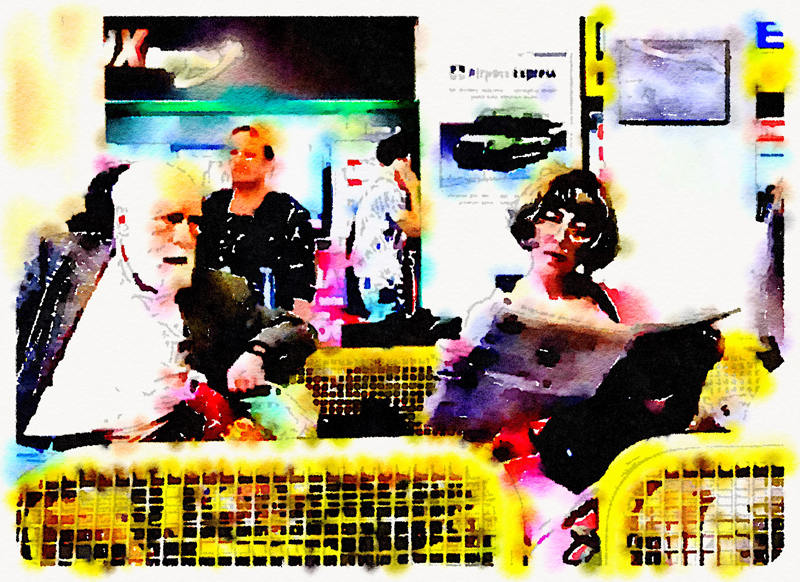 The person waiting, checking timetables, staring at their watch, and pacing up and down, is removed from engagement, unable to be immersed, and in limbo. The place isn’t boring, but in Heidegger’s terms the drag of time denies the train station the opportunity to offer the would-be passenger anything of interest. Heidegger says that in a sense the station presents itself at the wrong time. One commentator, Espen Hammer, summarises this condition, “time itself does not bore us; it is the essential being held in limbo in coming to be left empty which constitutes the first form of boredom” (283). Second, you can be bored with something. You are engaged in some event, but perhaps afterwards realise that you were in fact bored, though not with anything in particular. The company, the entertainment, and the food kept your interest. For Hammer, summarising Heidegger, this is “the empty ‘lived-experience’ of entertainment and distraction” (285). Perhaps this is the condition of watching videos, flicking through your playlist, reviewing emails, deleting spam, and checking “likes” on Facebook just to fill in time. But Heidegger is really interested in a the third kind of boredom that is with nothing in particular. He calls this profound boredom. This is a condition of complete indifference. The world falls dead. We expect nothing of it. We might just say, “It’s boring,” and even, “I’m bored,” though that doesn’t quite capture the condition. If we adopted German-style grammar we might say, “It is boring for one” (einem langweilig). Heidegger says enigmatically that this kind of boredom “is the entrancement of the temporal horizon, an entrancement which lets the moment of vision belonging to temporality vanish” (153), a position that he elaborates over many pages. He talks a lot about entrancement (Gebanntsein), which carries connotations of both entrapment and release. As with his account of anxiety in Being and Time, this profound condition of boredom is beyond anything we might describe in negative terms. It’s not grief or depression, though for Hammer it associates with melancholy. So the first two kinds of boredom constitute ordinary boredom, which we are quick to assess negatively as “disturbing, unpleasant, and unbearable.” We think that “becoming bored is a sign of shallowness and superficiality.” Boredom in general gets tarred with the same brush as the first two kinds, and we fail to recognise profound boredom or how to achieve it. “if such a thing as boredom is understood in the ordinary sense, then it is precisely the dominance of this understanding that suppresses profound boredom and itself constantly contributes to keeping boredom where we like to see it, so that one can pounce upon it within the field of the busy activity” (158-159). “This third form of boredom is not caused by something boring, nor is it a mode of reflection on our everyday being in the world; it is, in the most palpable form, a way of being into which we are thrown. As a fundamental mood, it does not determine us as subjects, as individuals with identities in the everyday world, but rather exposes us as beings faced with the problem of the meaning of our transient being” (325). Whether or not Heidegger’s argumentation is to everyone’s taste, there’s an interesting tactic in play here. To elevate boredom in this way is to consider something we normally consider as a deviation from the ideal (i.e. boredom as a deviation from the ideal human condition of being really interested in the world around us) and to reverse the priority. If someone complains to us that they are bored, then we can rejoinder that they are probably not bored enough — you really need to plumb the depths of profound boredom … then get back to me. Hammer, Espen. 2004. Being bored: Heidegger on patience and melancholy. British Journal for the History of Philosophy, (12) 2, 277-295. Mansikka, Jan-Erik. 2008. Can boredom educate us? Tracing a mood in Heidegger’s fundamental ontology from an educational point of view. Studies in the Philosophy of Education, (28)255-268. 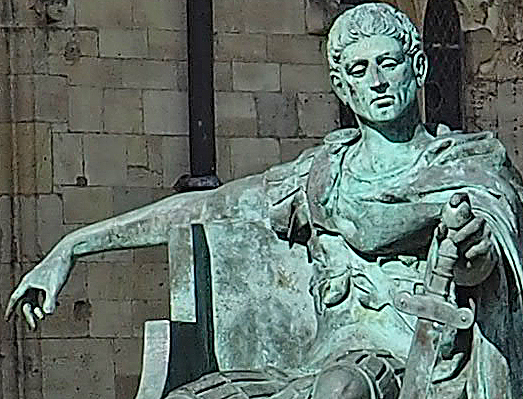 The first image is of a waiting area at Riga railway station; the image below is a statue of Roman Emperor Constantine outside York Minster. Also see blog posts on Melancholy and Mood.